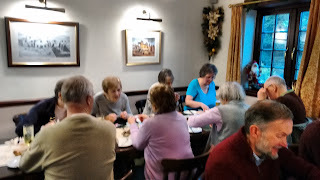 Eleven stalwarts from the Rambling Group set out on a very wet Saturday morning from the Pack Horse Inn, New Mills for a 4 mile walk across. the Moor, Although the rain continued throughout the morning we all enjoyed the trek in the fresh air and it gave us all an appetite for the Christmas Lunch which was to follow. 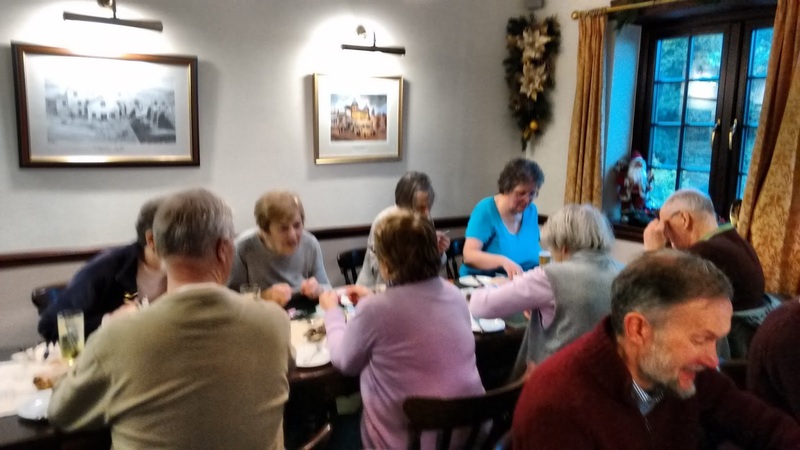 Back at the start point we were joined by five other members of our group and we all sat down to enjoy an excellent festive lunch at the Pack Horse Inn. 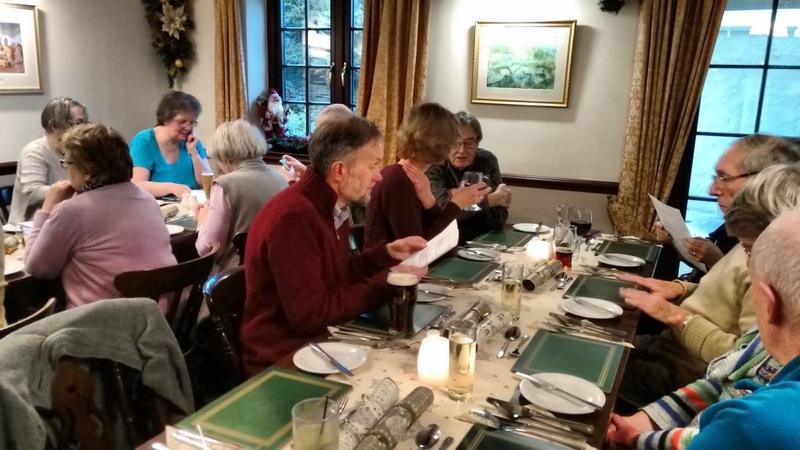 Many thanks to Judith and Mike for organising both the walk and lunch. Already wet but raring to go! Cross erected by the Marple Churches in 1970. Dried out and ready for festive fare. Can you remember what you ordered!